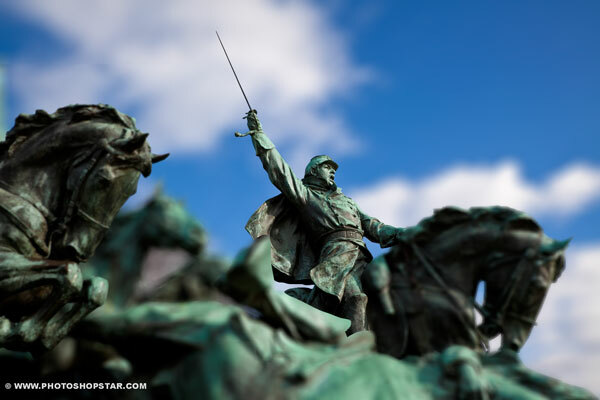 On this tutorial i will share with how to create focus effect on photo with different levels of blur. 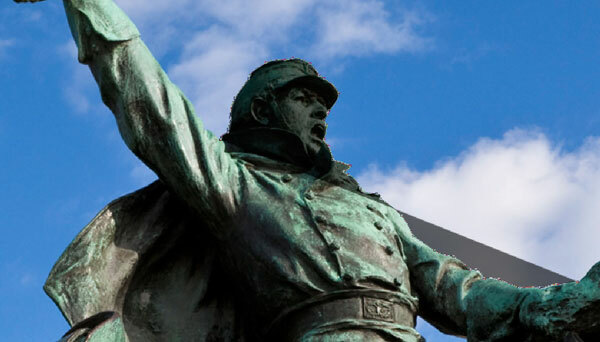 Start by opening photo on Photoshop. Now we are going to create a special blur map to focus attention on the object. To do that start by selecting foreground color as black (#000000). 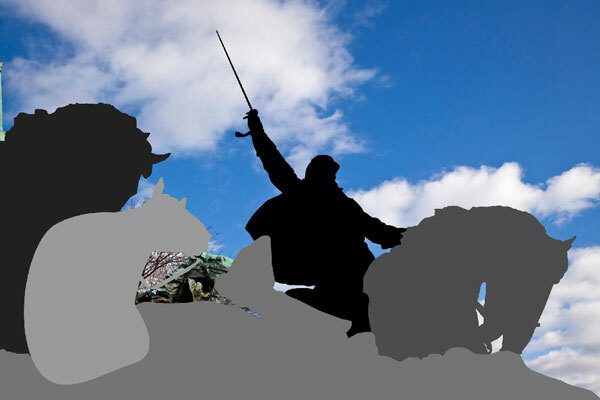 Use the Pen Tool with Shape Layers selected to draw out the figure of a man. 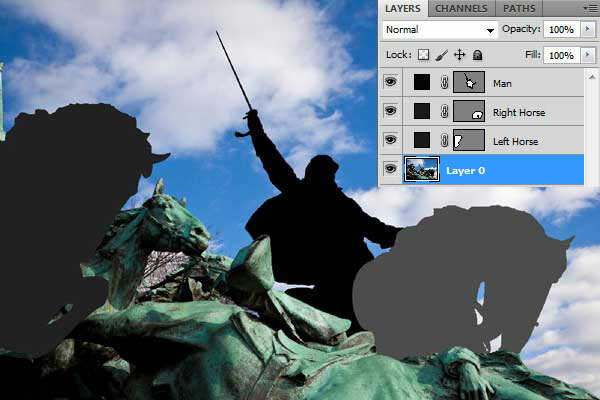 Reduce layer opacity to 50% after starting to select man to see the real shapes of the photo. In the end you should have man selected like on image below. 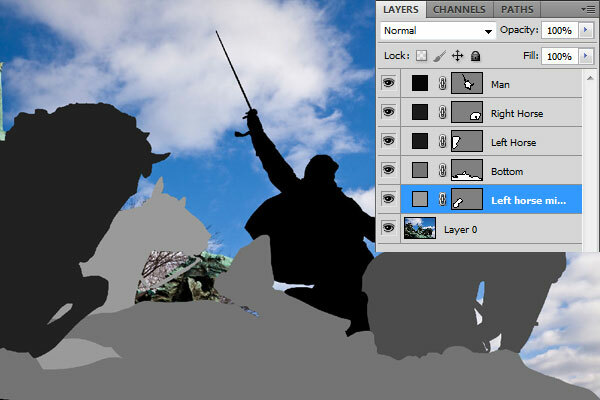 Update layer opacity to 100% for this layer. 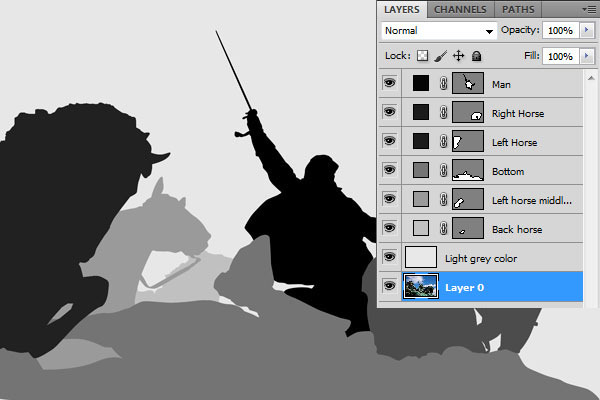 Use the Pen Tool to draw out the second shape (left horse) with foreground color #212121. Now draw third shape (right horse) on the photo with color of #4c4c4c. Draw another shape by using color #747474. 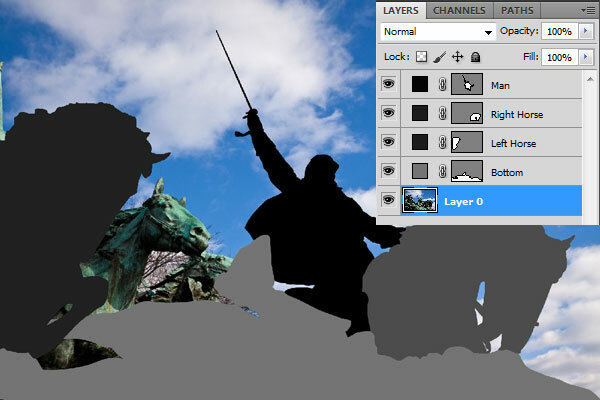 Keep positioning layers like i have which means that this one should be above the layer with the photo. Draw another shape by using color #9a9a9a. Move this layer with shape under all the layers but above the photo layer. Draw back horse same way but using color #c0c0c0. Create a new layer and fill with light grey color (#e7e7e7). 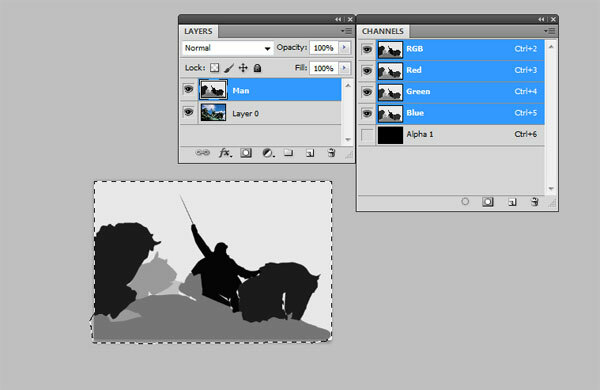 Merge all layers except photo layer. 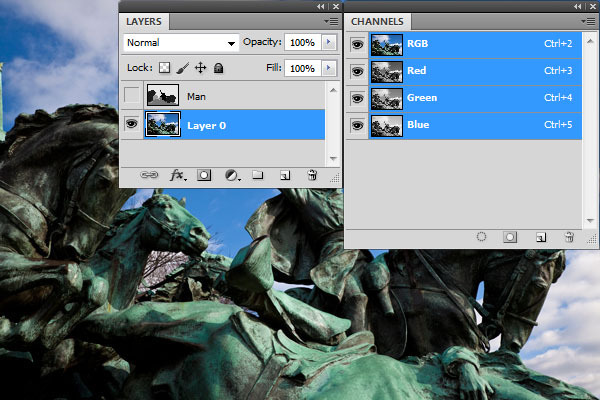 Select photo layer and open Channel panel by going to Window > Channels or by clicking on Channels next to Layers. Create a new channel. Adobe Photoshop will automatically name it Alpha 1. 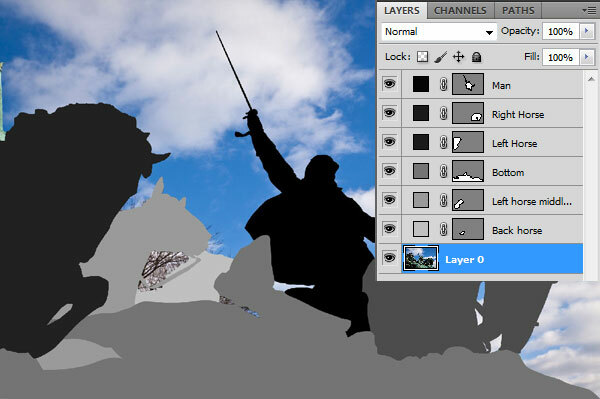 Go back to layers panel. 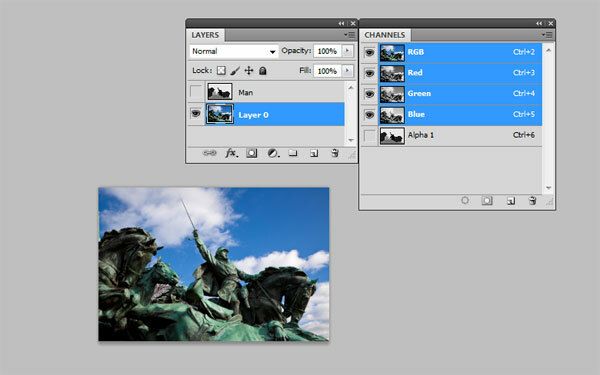 Select all merged layer content by using Ctrl+click on layer thumbnail. 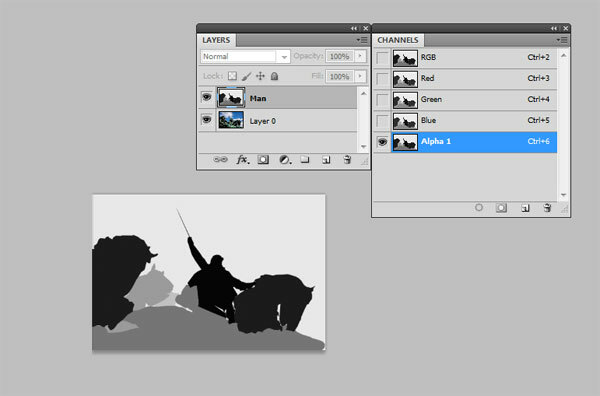 Copy selected layer with Ctrl+C, select Alpha 1 channel and paste layer content with Ctrl+V. Move a little bit to left to place it correctly. 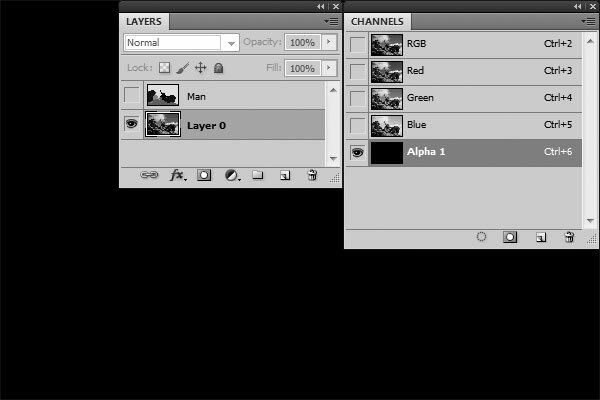 Hide merged layer visibility on layers panel and also hide Alpha 1 channel on channels panel. Select photo layer and apply Filter > Blur > Lens Blur. Don´t forget to change Source to Alpha 1, select Invert and update Shape to Triangle. 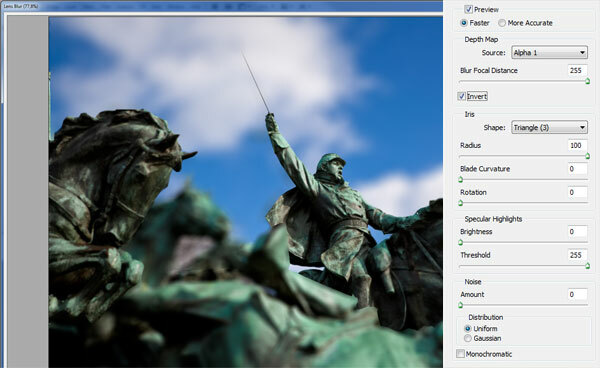 Also update Blur Focal Distance and Radius like i have on image below. And we are done. We learned to create a nice focus effect on photo with different levels of blur. Hope you liked it.